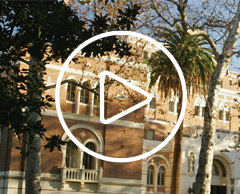 Visit www.usc.edu/epay and log in to your account through myUSC or OASIS. Where can I find answers to billing questions? For detailed billing information, a student account FAQ and a direct e-mail link, visit the Student Financial Services website. For questions about specific transactions, contact the office that assessed the charge. For example, if you have a question about a housing deposit, contact USC Housing at (213) 740-2546. Why has my federal and state aid not been credited to my billing account? Federal and state financial aid — including the Direct (Stafford) Loan, Perkins Loan, SEOG grants, Pell Grants, and Parent PLUS Loans — are applied to student accounts the week before the semester begins. What should I do if I still have a balance on my student account, after all my financial aid has been applied? You can pay your balance online (via checking or savings account transfer, or credit card) at www.usc.edu/epay. How do I receive any refund I am owed? Contact the Cashier’s Office about your eligibility for a refund. For more information, visit sfs.usc.edu and select the Refunds link. I’m a new student with a $300 credit to my student account. What does this represent? This is the $300 you submitted for your Enrollment Commitment Deposit. Shortly after you have registered and tuition and fees have been assessed, this $300 will be applied to your tuition and fees. If your deposit has not been credited to your student account by early August, please contact Admission for assistance. Why am I being charged for Student Health Insurance? Student Health Insurance is mandatory, unless you can prove that you already have comparable health insurance coverage. For more information, visit www.usc.edu/uphc or call (213) 740-0551. Why am I being charged for Tuition Refund Insurance? Tuition Refund Insurance was charged to your account because you chose to accept it when you registered online for classes. If you have changed your mind, contact the Registrar’s office before the semester deadline. For more information, click here. Log in to your Financial Aid Summary and Tasks (FAST) page. Any required documents necessary to complete your application will be listed on the Required Info & Forms tab. How will I know if the Financial Aid Office has received the documents I submitted? If you submitted your documents online, you will receive an email confirmation. How can I view my Financial Aid Summary? Log in to your Financial Aid Summary and Tasks (FAST) page. Will I receive loan funds automatically if my financial aid package includes loans? No, you must apply for each loan. For instructions, see the Loans section of this website and click on the type of loans you have been awarded. How do scholarships affect the other financial aid I may receive? Any scholarships you receive will not be in addition to your need-based financial aid but will change the composition of your financial aid eligibility. In most cases, we allow outside scholarships to reduce the amounts of student loans or Federal Work-Study in your financial aid package. Each situation must be reviewed in light of availability of funds, state and federal regulations, and the university's financial aid policies. Federal regulations require that we consider all of your resources when determining your eligibility for financial aid. As a result, receipt of additional scholarship awards will most likely affect your eligibility for financial aid. Once your department notifies our office of a departmental award, we will revise your Financial Aid Summary and notify you of the revision. If you are a recipient of an outside award not listed in your Financial Aid Summary, please send us a copy of your scholarship award notification so that we can adjust your financial aid package accordingly and notify you of the revision. If you would like to know how your scholarship will affect your financial aid eligibility, please contact our office. Where should scholarship checks be mailed? When will my student loan disbursement be credited to my student account? If you have met all eligibility and enrollment requirements, federal regulations require that student loans be credited to your account no sooner than 10 days before the first day of classes for your first enrolled session in the semester. Review your loan’s “next steps” to ensure you have completed all required tasks. How will I know that my student loan disbursement has been credited to my student account? You can also check all the activity on your student account by logging in to USCe.pay. Why haven’t my student loan disbursements been credited to my student account? Before the Student Account Services/Cashier’s Office can credit your federal student loans to your student account, the Financial Aid Office must verify that you are eligible and have completed several important requirements. You can visit OASIS via your Financial Aid Summary and Tasks (FAST) page and/or studentloans.gov to complete or verify much of this information on your own. Have you completed a Direct (Stafford) Loan Request Form online to borrow the federal student loans included in your Financial Aid Summary? Have you submitted all the documents listed as “Required” to determine your eligibility for financial aid? Have you maintained financial eligibility for the loans in your Financial Aid Summary? Does your actual enrollment level match the enrollment plan indicated on your Financial Aid Summary (full-time, half-time)? Have you completed loan counseling online for first-time federal student loan borrowers? Have you completed a Federal Direct Loan Master Promissory Note (MPN)? My student loan disbursements were previously credited to my student account, but I received a notification from the USC Student Account Services/Cashier’s Office that says the loans were removed. Why? PLEASE NOTE: Sometimes the removal of your student loans from your account may be only temporary. Please check back in one to two business days to allow the Financial Aid Office to make adjustments. Change an element on your Free Application for Federal Student Aid (FAFSA) that requires you to submit a correction to the Federal Processor or to sign your FAFSA.